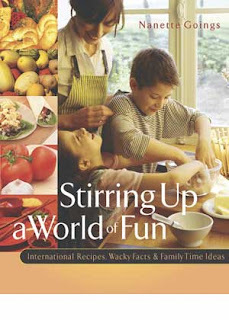 Stirring Up a World of Fun: International Recipes, Wacky Facts and Family Time Ideas contains 100 recipes compiled from all over the world. The introduction helps parents discuss kitchen safety, cooking terms and utensils, and measuring tips with their children. The recipes inside are organized by regions of the world. Each recipe includes an interesting cultural fact, a family-time activity, and a Scripture verse to discuss while cooking together. A Team Expansion missionary with two little boys (2 and 4-years old) is looking for great ideas for family fun. The country where he serves has some beautiful places but like many 3rd World Countries it doesn’t have many parks, playgrounds, etc. If you have an idea or have found great resources please share. He thanks you in advance! Just click “Comment” below the web version of this item. It’s a site where you can “narrow the gap between grandparents and grandkids, homeland and continents.” Simple and easy to use, you just log on and start building your family tree. Only members of your family can “talk” to you (though outsiders can “see” that you’re a part of a family chain). The service pledges that your email address is a safe secret. (“never spammed, never shared”: I like it.) The best part of all? It’s completely free — and highly recommended by Time Magazine, PC Magazine, and CNET. If you know of a parent that has had to make a school choice, please refer them here. Two families in North Africa have asked for help. So — have you ever tried homeschooling, international school, boarding school, or a national school? Would you mind sharing, …. Which turned out to be best for your family — and why? If you had it to do over again, which approach would you recommend to others? What are the pro’s and con’s? If you wouldn’t mind, just tell your story! These two families (and many other) will soak in all the knowledge and experience! Just click “Comment” below to tell your story or share your resource. GREAT STARTER PAGE FOR NEWS — Thanks to the anonymous tipster who pointed us to a new experimental news page… http://news.google.com/ It even beats CNN! It lists and compiles fast-breaking news as “old” as 5 minutes, simultaneously tracking hundreds of other news source web pages from all over the world! It’s a great “one-stop shop”! MICHIGAN LIBRARY SITE BEATS ‘EM ALL — But the page that beats ’em all for researchers has got to be Michigan’s new “eLibrary” site: http://www.mel.org Whew! They’ve set a new standard for “comprehensive”. SAVE YOUR WEB PAGES, NOT JUST THE ADDRESSES — It can be expensive to download web pages and then have to download them again when you want to use the information. SurfSaver is a free program which saves web pages in user-defined folders as completely searchable files which can be shared with others. The free version works great and can be downloaded at http://www.surfsaver.com although a PRO version is available for $29.95. (Thanks Harold!) I’m partial to the Adobe Acrobat capability. For example, last night I saved an 850-page website to my hard-drive (in pdf format, retaining links to the web) in about 5 minutes via my cable modem. Then, when I went on the road, I took all 850 pages with me for reference or demonstration. For Adobe Acrobat, see your nearest COMPUSA or similar computer software subscriber, or order directly from Adobe at http://www.adobe.com . TRAIN IN TESL & TEACH ENGLISH IN CHINA — Learn to Teach English by taking a TESOL course in Shanghai China. The course is both academic and practical in content and will prepare you to be a professional teacher of English. The course has a two week practicum which gives you the opportunity to put into practice what you have learned in the course. Come to China, take the course, learn the culture and stay and teach OR go to any other location in the world to teach. Course dates are Feb. 14-March 28, 2003 and July 4-August 15, 2003. Go to http://www.tesoltraining.com for more information on the school. Please note that emails are received in china and can be read!! Please think before you write. INCREDIBLE UP-TO-DATE NEWS AT YOUR FINGERTIPS — This is one of those discoveries you’ll want to add to your “links” bar at the top of your browser. (Thanks loads to Tony for the tip!!!) Google has launched a news searching service. Although still in beta form, it pools over 4000 news source, ranking them for freshness, credibility and popularity. Because ordinary webpages don’t get into any search engine database very fast, this sort of ability to search for fresh news is highly useful. 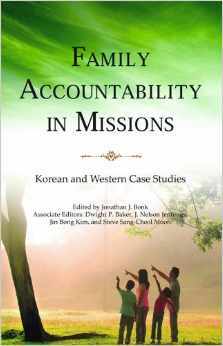 It may help mission personnel evaluate crisis situations quickly. http://news.google.com/news/ As I was compiling this issue of Brigada Today, for example, I quickly searched for news on Hurricane Lili. This new “news” engine gave me articles that were less than 2 hours old from VOA! Try it! Great find. MENTAL HEALTH AND MISSIONS CONFERENCE — The theme is “Organizational Dynamics in the World of Missions.” It will be on the ethos and organizational dynamics of mission agencies with special emphasis on how leadership styles, organizational communication, financial policies, and the missions culture impact our effectiveness in fulfilling the mandate to “go into all the world and make disciples.” Presenters will integrate the concepts of family systems theory, organizational and industrial psychology, human resource paradigms and other concepts with Scriptural principles to provide guidance for mission leaders and mental health professionals who work with them. This annual conference will be held November 21-24, 2002 at the Potawatomi Inn located in Indiana. Hurry — registration ends October 15, 2002. For more information call 800-896-3710 or 719-487-0111, or register online at http://www.mti.org in the Workshops section. MISSION CONFERENCE FOR ENTIRE FAMILY — Here’s a missions conference in Budapest, January 8-12, 2003, billed as a great conference for a great price, designed for the entire family, where you don’t have to give presentations :-) . Moody Bible Institute is providing programming for children. The conference speakers include Dr. Joseph Stowell, Alistair Begg, Ravi Zacharias, Jerry Jenkins, Gary Chapman & Kathy Koch. Worship will be led by Graham Kendrick and guest musician will be Michael Card. To register for this conference, go to http://www.moodyconferences.com . 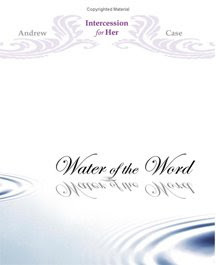 BIBLICAL STORYING CD-ROM’S — Here’s a great “biblical storying” CD by a talented teller-actor, Robert Delafield. The price is right: FREE!! (They charge “shipping & handling” of $7.50 a disk, but will throw in a free one if you order four.) A NT and an OT CD is available. These videos could be a course in how to use gesture, voice and expression to tell the story. They are for anyone wanting to become a really great biblical storyteller. In stock now, but not sure for how long. For more information, log on to: http://free-cdsoftware.com/SKU-BIBGRE?client=58158288 .